Watch Around the Verse, and check the Relay.sc homepage for the transcript! Social Media Follow us, or not! 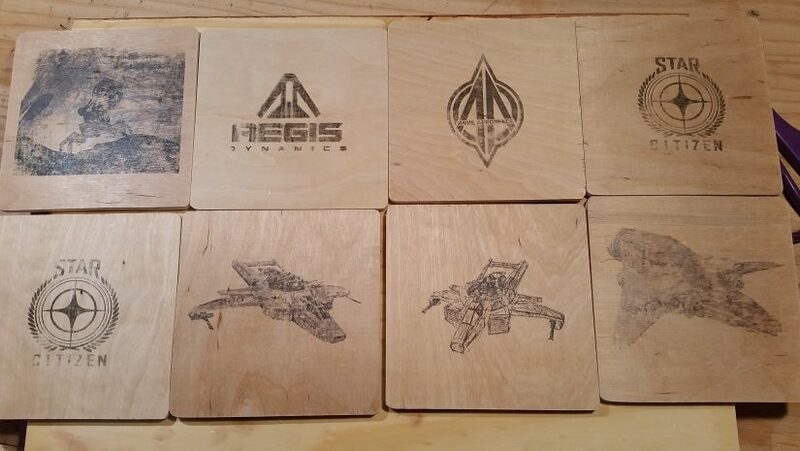 Come watch an inordinately long video showcasing how Erris makes Drink Coasters! Welcome to my horribly cut and produced video about how I make coasters. I’m neither a video editor, nor do I have a decent camera, so… I’m sorry for the quality. Still, if you’ve ever wondered how I make the coasters I make, this video will run through me making one. I hope you enjoy, and let me know what you think in the comments! Erris is Canadian. He does some random things for Relay, no-one really knows what, but still they're stuck with him. He’s also written one Young Adult novel that he can’t stand, which can be found here. You can find him on Twitter too, if you want. © 2016 - 2019 Relay Media. ♥ Relay is run by a passionate team striving to provide you the best Star Citizen content.